Blends of pink and orange are typical natural morganite colors. At 146.58 cts., this oval-cut morganite is a sizeable specimen. This stone displays stronger colors at the ends of its oval shape. This crystal displays the typical hexagonal growth patterns of beryl. This morganite crystal is nestled in lepidocrocite. This crystal formed to resemble a series of hexagonal steps. Morganite’s subtle color is caused by traces of manganese. Because morganite has distinct pleochroism—pale pink and a deeper bluish pink—it’s necessary to orient the rough carefully for fashioning. Strong color in morganite is rare, and gems usually have to be large to achieve the finest color. 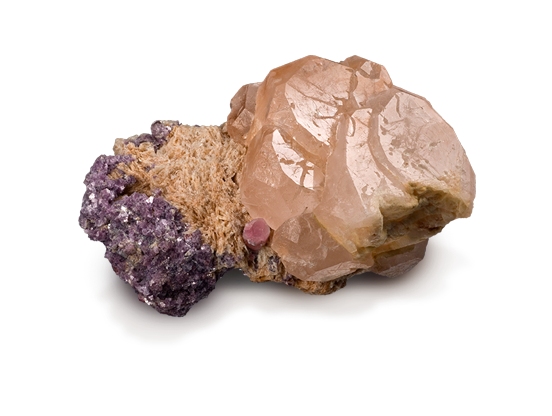 Untreated morganite often has a strong orange color component, creating a salmon color. Morganite crystals can be large, with specimens from Brazil weighing over 10 kilograms. Morganite was named after J.P. Morgan, one of the greatest financiers in history. Morganite can contain liquid inclusions that contain gas bubbles and possibly also solid phases. Morganite forms beautiful hexagonal prism crystals that tend to be flatter than aquamarine crystals. Morganite often comes in lighter pastel shades of pink. Morganite can be pink, purplish pink, or orangy pink; often light in tone. Although commonly light in tone, top-quality material is a strong pink. 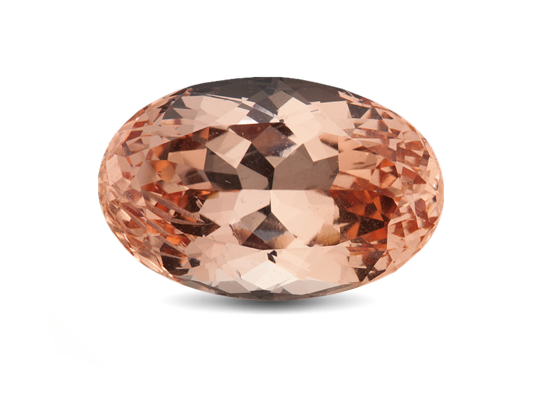 Faceted morganite, in light and stronger colors, usually has no eye-visible inclusions. 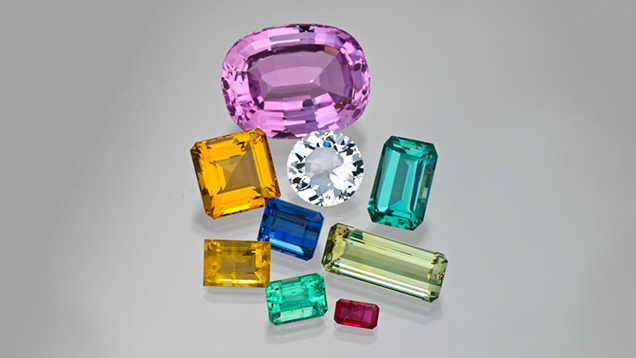 Light-colored crystals might be cut a little deep to intensify the color. Morganite comes in a variety of sizes, including large faceted gems and designer cuts.